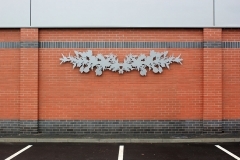 Three local plants, gorse, blackberry and a tree blossom are reflected and draped like garlands on the facade of a newly built Lidl store. 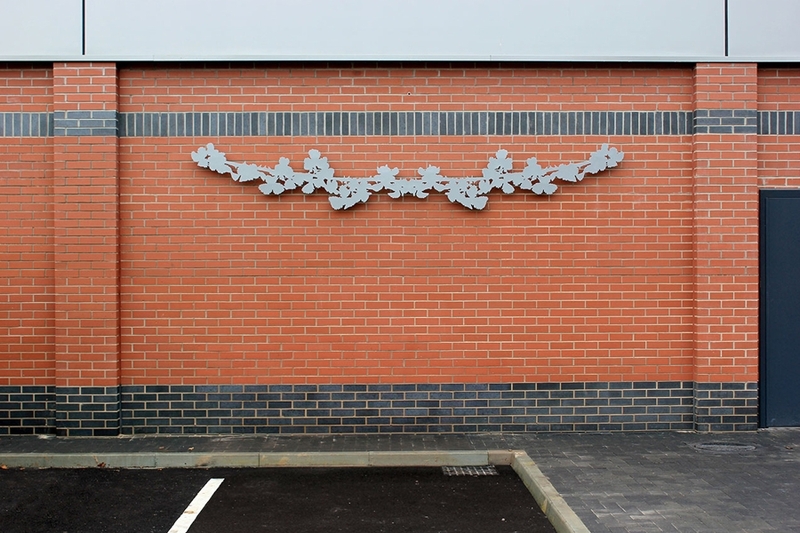 Commissioned and managed by Lidl. 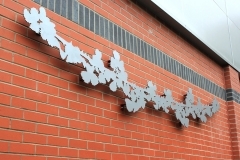 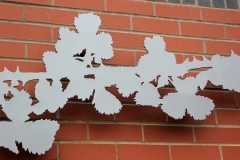 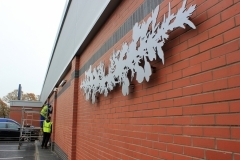 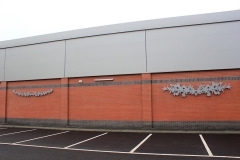 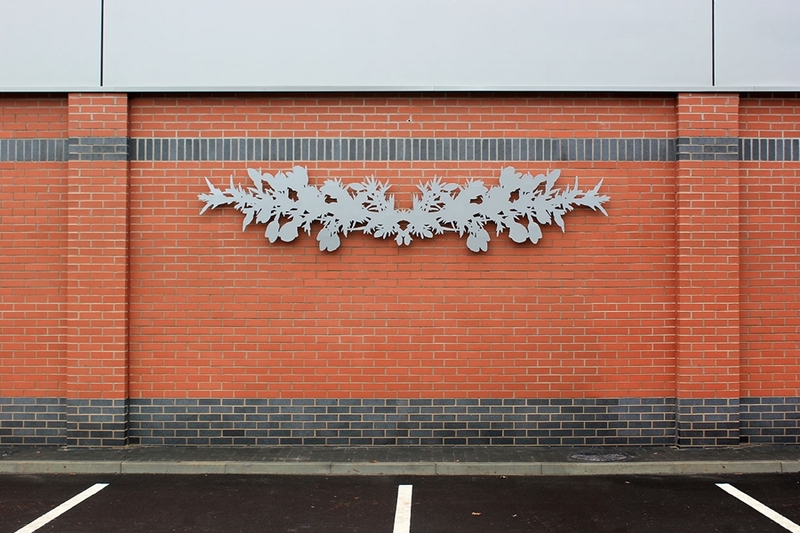 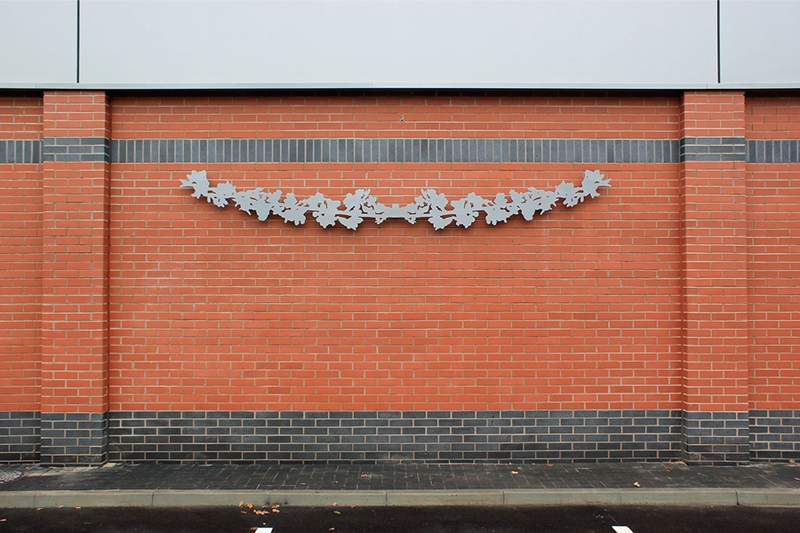 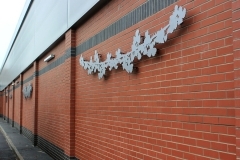 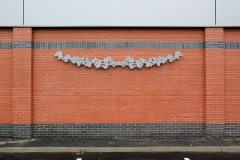 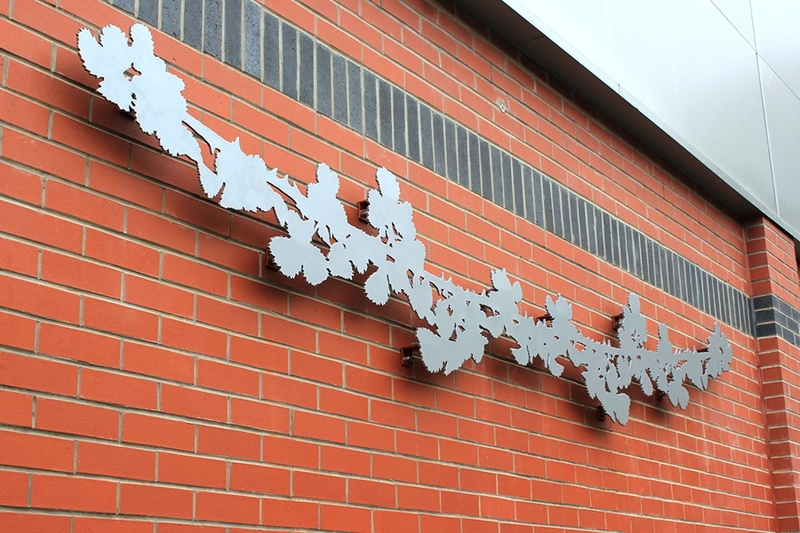 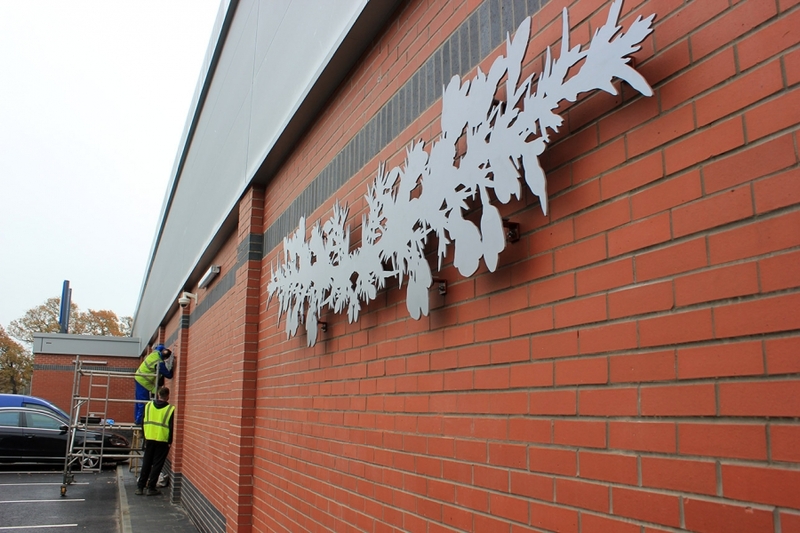 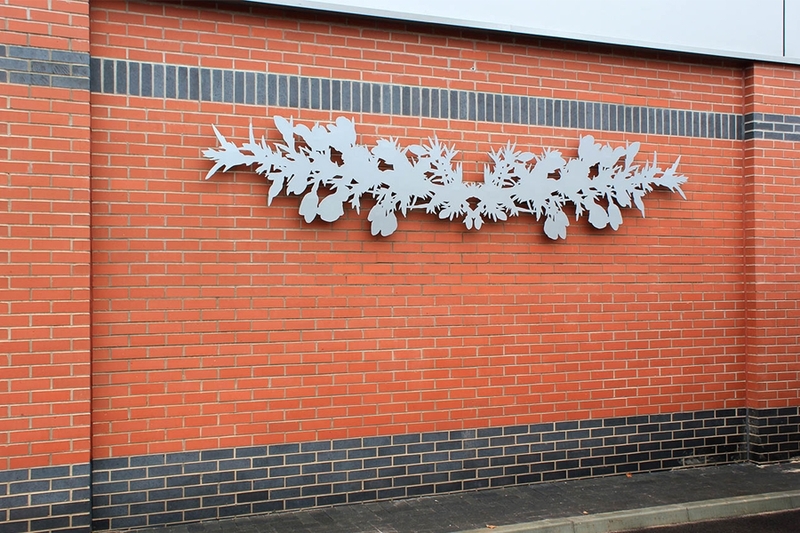 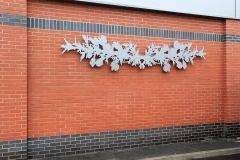 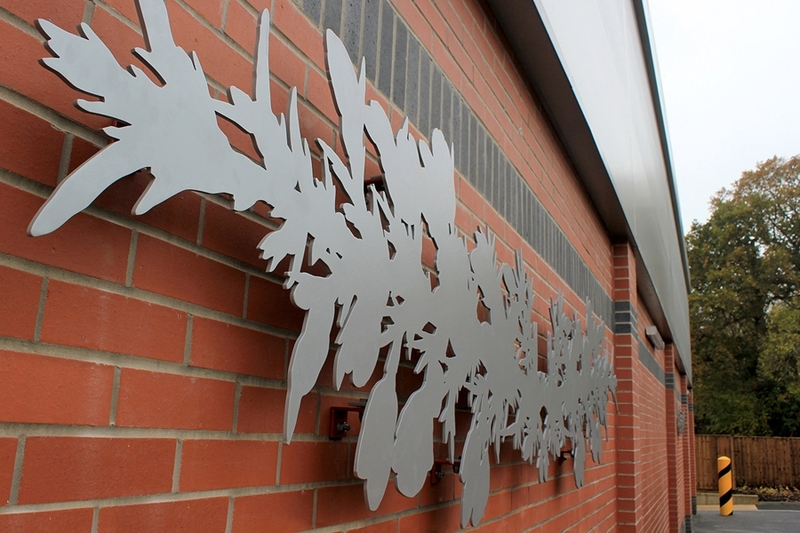 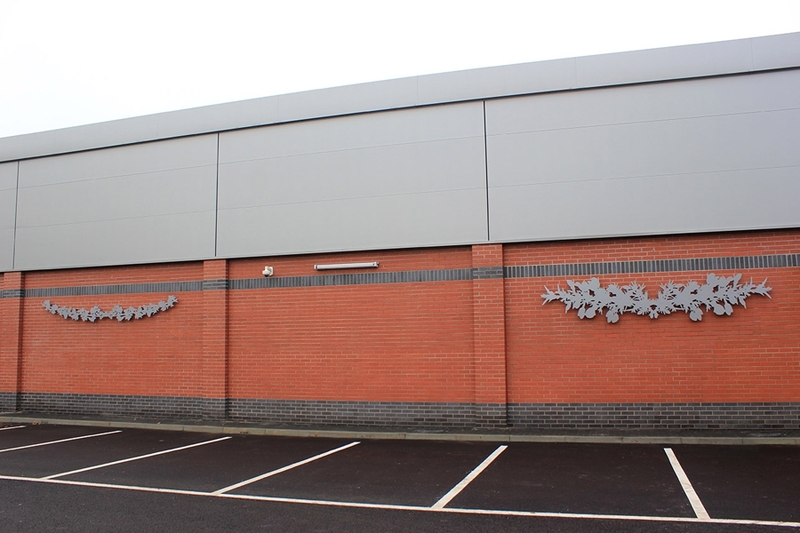 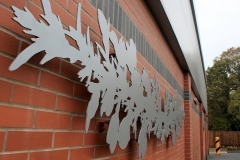 Each panel 4m long, in 6mm, galvanized and powder coated steel.